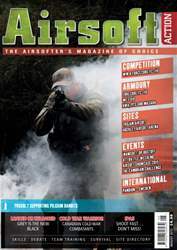 Welcome to the new 108-page issue of Airsoft Action - the airsofter's magazine of choice! In this issue we take a look at three guns; Force Core FC-119, WE EU19 and much anticipated KWA/PTS Masada GBB. We go hunting "Charlie" on Operation: Dustoff and each other at The Cambrian Challenge. 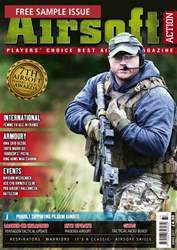 We also report from events up and down the country, including The Airsoft Showcase 2015, take a look at Canadian Cold War Combatants and offer some excellent advice on shopping at shows. We've also included all your favourite features and articles and if that wasn't enough, we are giving away the Force Core FC-119 we reviewed in our free to enter competition!